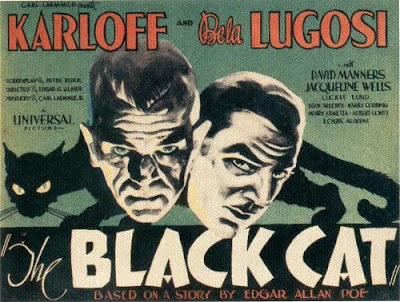 The Horror Digest: The Black Cat: Dracula, Frankenstein ('s monster) and a Cat, All In One Movie. YES. 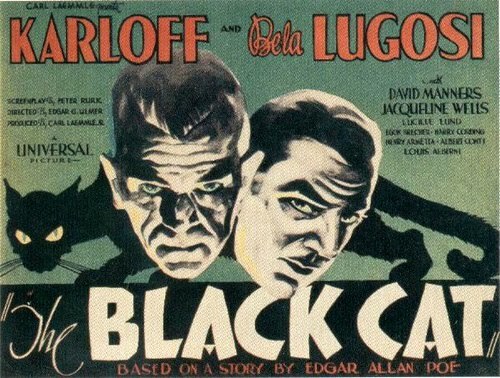 The Black Cat: Dracula, Frankenstein ('s monster) and a Cat, All In One Movie. YES. I’ll tell ya something. It felt extremely good to be watching The Black Cat that we were all intended to see and not this. Although both movies refer to Poe’s story of the same name, both films have little if anything to do with the original story. Fulci comes closer with a hanging cat, and securely bricklaying our heroine in the wall but, Edgar G. Ulmer‘s version has absolutely nothing to do with the story at all. In fact it has been said that Poe’s name was only attached to the film to gain popularity for the film. Resemblance to the original story or not, The Black Cat is absolutely wonderful. 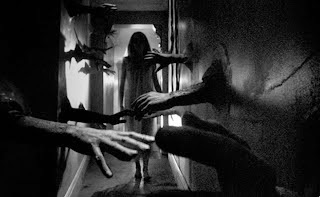 It’s almost shocking to see some of the creepy images this early on in movie history and certainly stands as a film that uses the art of shadows to it’s advantage. 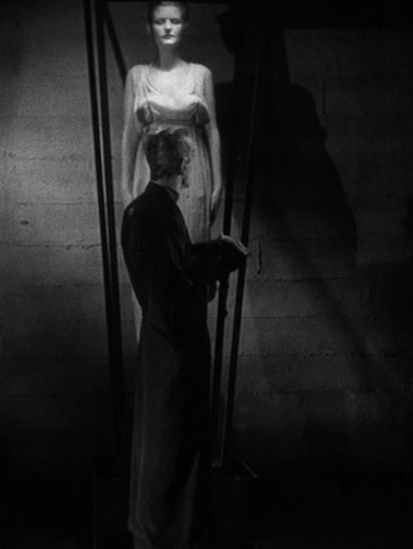 As you know from my Night of the Hunter review, shadows and “interesting” angles are representative of the German expressionism era, the Black Cat however branches out a little more and uses something very creepy known as dead women suspended in glass cases (most likely used for sexual gratification). Mmmm Mmmm Mmmm. 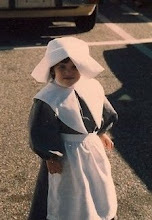 And I know what you’re thinking and it is NOT like this. It’s better. And not ruined by awful Mr. Freeze puns. Our plot centers on Peter and Joan, a pair of honeymooners who have passed on the obligatory honeymoon to Niagra Falls, for the less romantic country of Hungary. 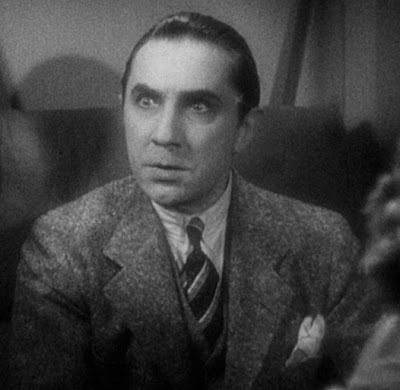 On the train ride they share a train compartment with Dr. Vitus Werdegast played by the eternal Dracula, Bela Lugosi, who claims he is traveling to reacquaint with an old friend. Once in Hungary, the trio gets into a wild bus/car thing which gets into a horrible accident due to the “rain” but probably due more to their loose cannon of a Hungarian driver. Joan is badly injured and Vitus and Peter carry her to Vitus' friend's manor. 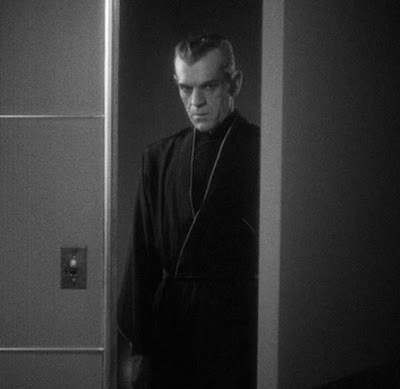 Boris Karloff makes his entrance as the stony and menacing Poelzig, who reminds me of someone else but we’ll get to that later. Anyways. Poelzig is actually a Satan worshipper, and has been sacrificing young women and keeping them suspended in glass cases in his basement. We soon realize that Poelzig is less of a man to play chess with and more of a man to run away from immediately. and Boris Karloff is just Frankenstein's monster with some phonics lessons under his belt. I suppose it speaks more to the fact that these men are incredibly iconic and as much as they may try to take on different roles- their pasts forever rule their careers. I really had a nice laugh about it all, because it was just pretty damn hilarious. 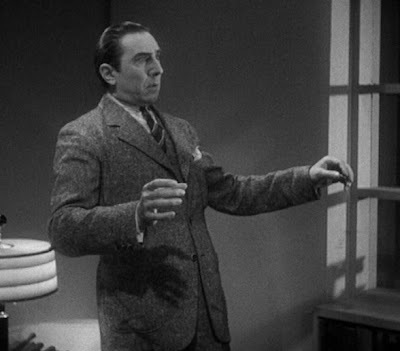 Bela Lugosi is this odd yet entrancing kind of figure who has a creepy habit of stroking those that do not belong to him. He’s actually just like Dracula except instead of fearing crucifixes, he fears cats. Boris Karloff does a bit better, since it’s unusual to hear him speak full sentences, but his first few appearances still brought back too many familiar feelings. This screen grab of the two staring at each other is a prime example of how a few years have nothing on these guys. We may as well just call this film Frankenstein's monster without his shoes on vs Dracula. But yes yes, I suppose these two do ending up moving away from their previous characters. 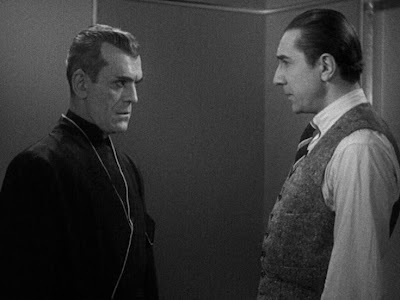 We finally get to feel sympathetic for Bela Lugosi, and Boris Karloff is evil based on his own doings and not a mad scientist's. The main thing to focus on however, is that the ending of The Black Cat may be one of the first instances of the impending doom that is Saw and Hostel. The ending torture scene makes me cringe, even though we see nothing- but it still provides that feeling of skin crawling goodness. 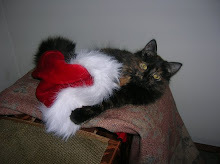 Of course we have evolved to showing everything possible, where as The Black Cat is classy and refined and old…..which is most likely why but whatever. 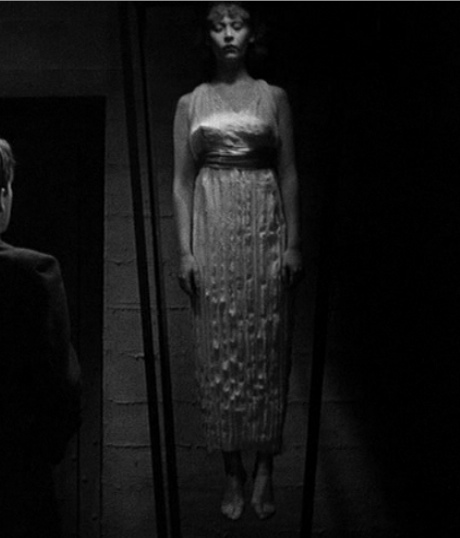 The point is, it’s extremely interesting to see this kind of scene so early on in horror movie history. It's almost jolting to see such a scene in such an old and classic film. It reminded me of how amazing and eye opening it was to actually see a face being surgically removed in Eyes Without a Face. Overall, The Black Cat is a film that one twitter friend referred to as shitting all over the Universal Monster movies. I agree that it is one hell of an enticing film that does not leave me on the fence about whether or not I like it based on the fact that is a classic. 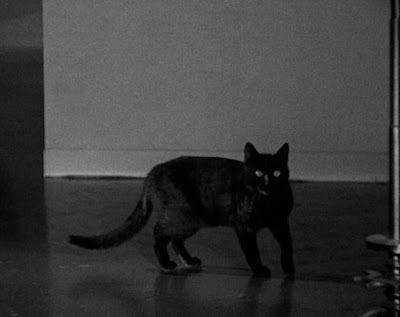 Not all films are great or classics just because they are in black and white- but The Black Cat is unquestionably tantalizing to my horror senses. 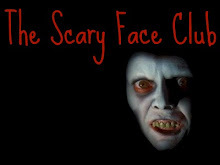 Remember, do not accidentally rent Fulci’s the Black Cat unless you want to and make sure you see this instead. The women suspended in the glass cases are waiting for you. I've never heard of this film but it seems really disturbing. I was intrigued by your comments about Karloff and Lugosi - they do always seem like Dracula and Frankenstein no matter what characters they are playing. Do you think this was frustrating for them as actors? I do think it must have been quite frustrating. Unfortunately I think most of this is due to certain unavoidable character traits. Karloff's face of course is never going to change and Lugosi's accent makes it hard to accept him as anything but Count Dracula. This film does help things though, like i said Lugosi gets to play the hero for once and Karloff the true villain. But overall these two guys had a very hard time being anything other than their former selves. "We soon realize that Poelzig is less of a man to play chess with and more of a man to run away from immediately." The brilliance of The Horror Digest, in a nutshell! The Black Cat is definitely an example of how much you could actually get away with in movies before the Hays Code kicked in, which was actually the very same year, so it just made it in under the radar. Still, from what I understand, censors had fits from this movie, and there was a lot of pre-release wrangling with Universal. Certainly, black and white doesn't equal classic--check out the some of the lame efforts of "Poverty Row" in the 1940s for proof of that (on second thought, don't). In the case of The Black Cat, though, it's a reliable equation. This is one of my favorite films- and I think the best of the Karloff-Lugosi pairings. 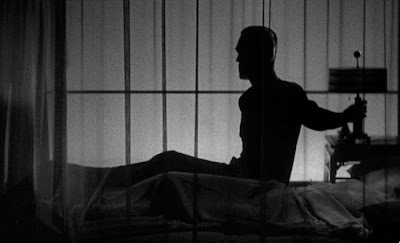 A truly atmospheric picture (and I always get a kick out of Karloff saying 'catz').